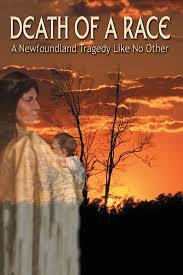 The Beothuk were the indigenous people of Newfoundland and Labrador. They lived a semi-nomadic life as hunters and gatherers and moved seasonally from the interior to the coast. As European settlers established themselves along the shoreline, the Beothuk retreated inland and lost access to the fish, seals and other seafoods that had been a large part of their diet. Starvation and tuberculosis were two contributing factors to the demise of these people. Hector Earle’s novel is written from the point of view of one Beothuk family and describes their struggle to survive at a time when their way of life was so violently disrupted. Examples of ignorance and misunderstanding on both sides are described as well as occasional clashes between the two cultures. Although this is a work of fiction, some incidents in the novel were taken from historical fact. For example Shawnee, the main character, is modeled on the life of Shanawdithit—the last of the Beothuk race. Shanawdithit died in 1829 from tuberculosis. Much of what is known about the customs and religion of these people was learned from this young woman. Her detailed drawings and diagrams remain and some of them have been used as illustrations in this book. Classroom Connections: Death Of A Race is a natural fit with the Social Studies and History curriculum and provides many opportunities for practising Questioning and Inferring as effective reading strategies.